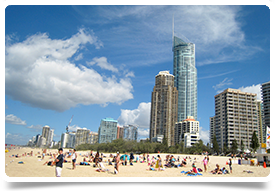 Gold Coast – DWS GP position, stunning location, high income potential and flexible work arrangements available. This non-corporate group of practices offer a wide range of medical services to patients for all ages and health issues. The centres are privately owned and offer patients bulk billing but do privately bill a range of services. They have a team of dedicated doctors, nurses and reception staff to assist with all your medical needs. All are committed to working with patients on how best to manage their health. Opening hours vary across clinics but are typically Monday to Friday from 8am until 6pm; Saturday and Sunday opening to Midday at the main clinic. Weekend shifts are available if you are interested but are not essential. An existing patient base is available due to a retirement. Just over the border is Tweed Heads. Tweed Heads is a city in New South Wales. It is located on the Tweed River in north-eastern New South Wales, Australia, in Tweed Shire. Tweed Heads is located next to the border with Queensland, adjacent to its "Twin Town" of Coolangatta, which is a suburb of the Gold Coast.